Olivia & Sophia, my own new historical novel, which examines Raffles' life through the eyes of his two wives, has its Asian launch at the Singapore Writers Festival tomorrow - Sunday November 1. 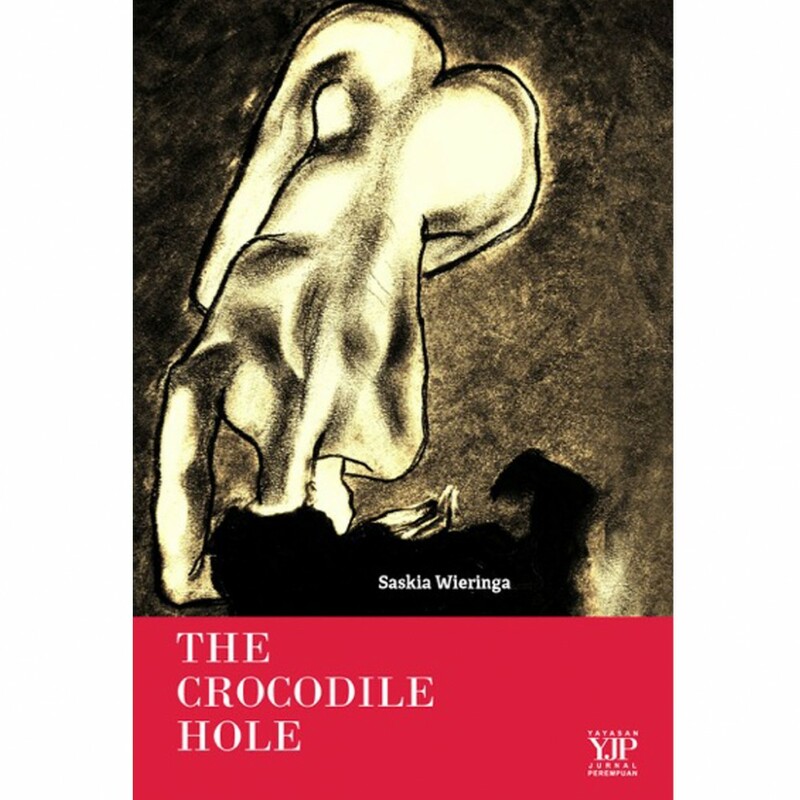 (It will be publishing in the UK in March 2016.) If you happen to be in Singapore, and you'd like to come along: great! The launch is 5.30 - 6.30 at The Arts House. 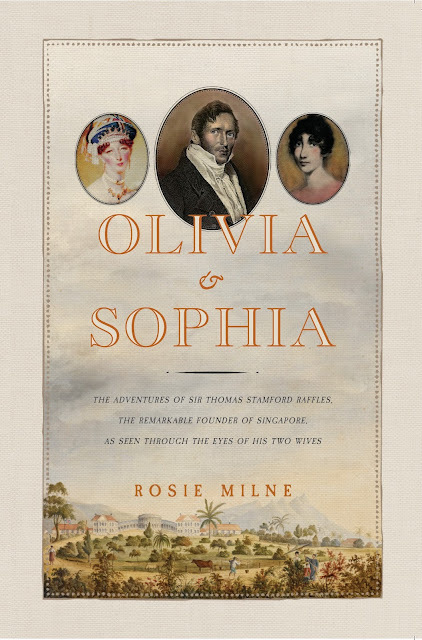 Olivia & Sophia is available from Amazon here. Asian Books Blog is based in Singapore. During the Singapore Writers Festival, (SWF) which is on now, and runs through until November 8, daily posts will offer a flavour of events on offer in the Lion City. 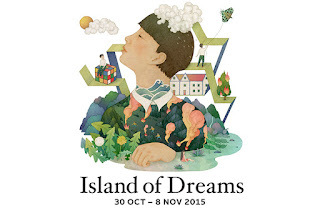 Today, Phillipa Milne, Programme Manager, Hong Kong International Literary Festival, answers questions. Tomorrow, it will be the turn of Yeow Kai Chai, Festival Director, Singapore Writers Festival. The Ubud Writers & Readers Festival starts today, and runs through until November 1. The start of the Festival has been marred by censorship. This year is the 50th anniversary of communist repression and killings in Indonesia, in 1965. Ubud Writers & Readers Festival had planned to mark the anniversary – but the authorities had other ideas. Author and philanthropist David T. K. Wong is an elder statesman of Asian letters. Here, Lee Li Ying, one of his editors at Epigram Books, the Singapore-based publisher of Adrift, the first part of his multi-volume family memoir, reveals him to be a man who knows his passion, purpose and priorities. 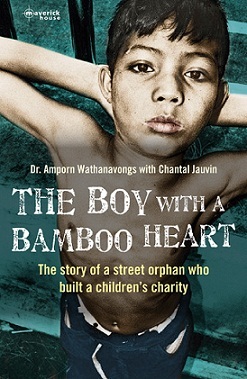 Chantal Jauvin co-authored, with Dr. Amporn Wathanavongs, The Boy with A Bamboo Heart, an account of Dr. Amporn’s life. Dr. Amporn, the founder of the Foundation for Rehabilitation and Development of Children and Family (FORDEC), is today one of Thailand's most generous benefactors – but he didn’t have an easy start to life. Orphaned at six, he scrambled for survival in the markets of Surin. At fifteen, he became a boy soldier, trekking through the Cambodian jungle. His tumultuous experiences left him prone to self-loathing, but through learning to accept the kindness of others he surmounted his self-destructive tendencies. After a spell as a Buddhist monk, he was able to follow his true vocation, and, eventually, to save the lives of over 50,000 street children. I will be travelling in the States for the next 2 weeks, so I'm closing Asian Books Blog for the duration. It will resume with The Sunday Post on October 25. Until then: happy reading! 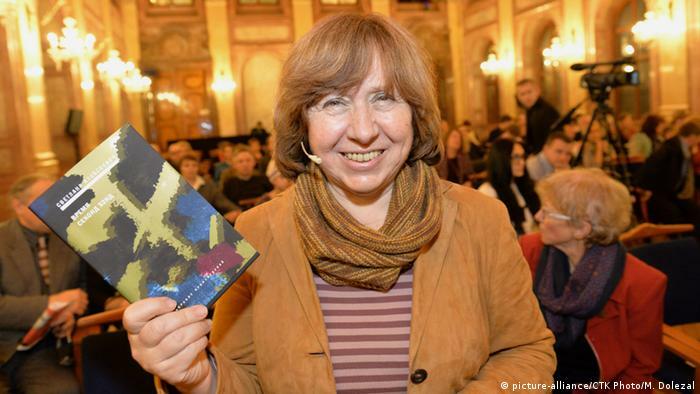 The Nobel Prize in Literature for 2015 has been awarded to the Belarusian author Svetlana Alexievich "for her polyphonic writings, a monument to suffering and courage in our time." 500 Words From...is a series of guest posts from Asia-based, locally-published authors, in which they talk about their latest books. 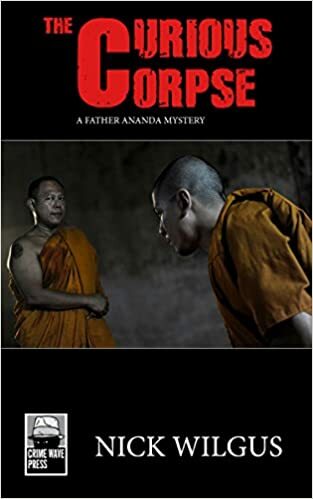 Here Nick Wilgus, who is now based in the USA, but who lived and worked in Asia for many years, discusses The Curious Corpse, the latest title in his Father Ananda murder-mystery series, published by Hong Kong-based Crime Wave Press.